United Security Services knows the best way to ensure quality and value is to put the best possible candidates into our security positions. We’ve designed a screening process that is professionally executed and together with our training program helps to produce knowledgeable and reliable staff. We do extensive background checks and our employees are handpicked for character, attitude and personal discipline. United Security Services began as a private security firm operating from a small sized office in Irvine, California. It was by observation of the passion and hard work of the handful of security staff from the start that motivated our growth and expansion. Our foundation built up is attention to customer service. Our experience in many industries has made us capable to deliver top quality security services with value and customer care that has made United Security Services second to none. Customer service has been the driving inspiration behind our firm. We are known for commitment to service and we are recognized again and again for superior delivery. Security Insider ranked United Security Services “Highest in Security Service Customer Satisfaction” among California based firms eight times in the past nine years. Every month we measure customer satisfaction with each local branch through telephone surveys, surveying hundreds of our customers. Each branch earns a ranking incentive based on positive customer review. Across the state of California we utilize every resource at our disposal to ensure smooth internal operations. 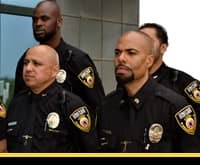 We are among the state’s largest service providers of security services. Our unrivaled portfolio in every industry has ensured we continue to surpass the changing needs of our customers and deliver quality high value protection.